Well, here’s suggested shift # 5. 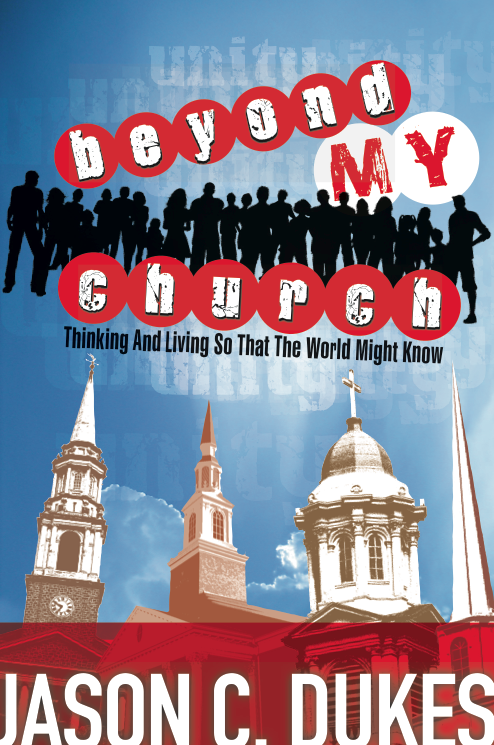 This week, I have been re-posting a summer 2011 blog series from LiveSent.com. Here is the final post of the series. I hope they have encouraged and challenged you. Click here for shift # 1, here for shift # 2, here for shift # 3, here for shift # 4, and read below for # 5. If I live focused only to be better personally, then who is the focus of my life? However, if we live to share with others about the goodness of God, who is the focus of our life? He is. And others are. The former approach is what I would suggest is living to be “good FOR God.” The latter approach is what I would suggest is living to “go WITH God.” I want to suggest that Jesus intended the latter for His followers – that we not live FOR Him but WITH Him. Two reasons why I want to suggest this. (1) because Jesus said so. He is sending us to follow Him. To go WITH Him. Not just to do stuff for Him. He said in Matthew 28:18-20 that He would be WITH us always. (2) because Jesus avoided the compliment “good,” which might be an indication that I should, too. 18 And Jesus said to him, “Why do you call Me good? No one is good except God alone. Get honest with yourself. Do you study the Scriptures for nourishment for daily mission or for information for self-development. The rich young ruler in this passage seemed clearly to be looking for another reason to consider Himself good, to feel personally fulfilled with his accomplishments. Jesus did not live to that end, and He rebuked the rich young ruler with His very to-the-point response. Jesus did not end the day hoping to feel good about Himself or His efforts. He did not practice religion for personal goodness. He lived to glorify His Father in heaven, period. Attention to His own works He considered a distraction from the work of His Father. 10 Don’t you believe that I am in the Father and the Father is in Me? The words I speak to you I do not speak on My own. The Father who lives in Me does His works. I personally need to beg HIm to keep making that same heart and desire present in me, that I would want to make His goodness known and His goodness only. Please understand what I am suggesting here. It is absolutely true that each of us needs to grow. It is absolutely accurate that we each will always need to be shaped into what Jesus intended. However, the purpose of our further holiness is not so as to be holy, but rather so as to show others a holy, loving, gracious, near God. A focus on personal goodness is a focus off of mission, for my pursuits are not to be centered in personal gain but rather in the interests of others. So, what you do with that “salt and light” verse about our good works (Matthew 5:13-16)? You obey it. That’s what you do. It’s not about my personal goodness on display. It’s about my Father’s goodness on display in me. That’s the only thing it can mean if it has anything to do with His glory on display. May we go preserve His presence and bring out the flavors of His presence right in the midst of this very how-could-God-even-be-present world by sharing His life given to us and His goodness proven together through us. May we quit trying to just be good FOR God and actually daily go WITH God on mission to share this Gospel about a God who desires to be WITH us with a world who so often struggles to believe that the God who came near could possibly still be near today. 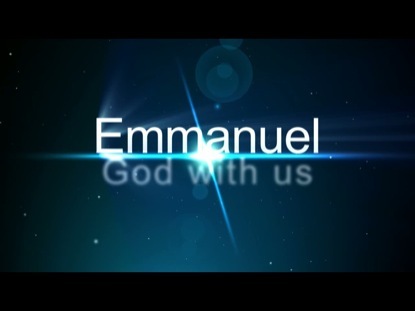 After all, when Jesus spoke His “final Word” to us – Jesus – the New Testament uses a synonym – Emmanuel. Do you know what that word means? GOD WITH US. That was the declaration from God when He moved into the neighborhood – He has always wanted us to live WITH Him (John 1:12-14). If we will, then we will be that much closer to actually making disciples. This week, I am re-posting five shifts from a 2011 blog series on LiveSent.com. 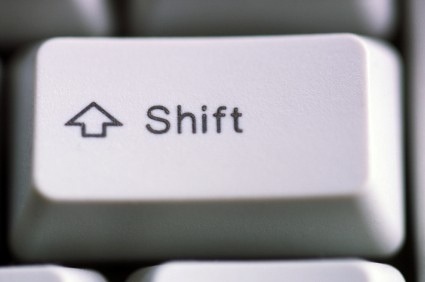 You can click here to read shift 1, click here to read shift 2, or read below for suggested shift 3. Hope it encourages us all to be the church as Jesus intended. I don’t think I am exaggerating here. I would suggest that the common approach to what the American church has called “discipleship” tends to be a very self-absorbed, personal development track for which the primary motivation is to “feed me.” This is not biblical. At least that is what I am suggesting in SUGGESTED SHIFT # 3 (IN ORDER FOR US TO ACTUALLY BE MAKING DISCIPLES as Jesus intended). Now in this we must be brutally honest with ourselves. Whether individual or family, married or single, child or adult, have kids or don’t have kids, young or old. Do you look for a “church that meets my/our needs,” or do you look for a people with whom you can both learn and live the ways of the Kingdom as well as together share them with those who may not even be following the King yet, loving to both neighbors and nations. Is your motivation when it comes to “church” more about “feed me” or more about “feed others?” Get honest with yourself here, because the answer to this question is found in why you are even a part of the local church expression of which you are a part. Say you are single. You looked around for a church family with a happening singles ministry. They gathered. They had events. People were becoming not-single thru this ministry. It looked good to you. And you really liked the band and the speaker. A perfect fit. You may have even invited some friends to join you. But what I have described above is not you as the church engaged with God on His mission daily making disciples. It is you as a consumer choosing a church that feeds you and meets your needs. Say you are a mom and dad. You looked around for a church family with a happening student ministry. They gathered. They had events. Students behaved and dressed and spoke well. Even though they ate peanut butter from someone else’s armpit during some skit on the first night you attended, you were cool with it, because they gave away great prizes to the kids. A perfect fit, right? But what I have described above to you is not you leading your family to be the church together engaged with God on His mission daily making disciples. It is you as a consumer choosing a church that feeds you and meets your needs. I would go so far to even suggest this – if we as leaders don’t actually live out the intended mission of God in front of and alongside those middle and high school students, a whole lot of them will not stick with the hollow consumerism that attracted them to be a part of a local church expression once they get into college and are met with many other attractive options. Wait a second!!! You scream out as you exclaim, “I HAVE NEEDS, TOO!! !” or “MY FAMILY HAS NEEDS TO!!! !” I know. I do, too. Two questions, though. 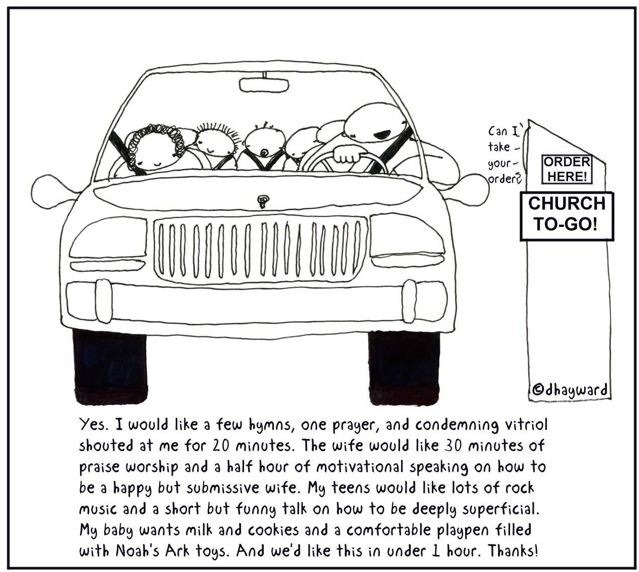 One, are you basing your “church choice” on a need or a want? And two, are you truly fulfilled in getting or giving? Our family has needs, too. I just don’t want my kids growing up having their attention spans grabbed for a season with an attractive ministry. I want them having their hearts gripped for life by a Savior who loved them first and now compels them to live with a beyond-me purpose – the only kind of life, in fact, that can even keep their attention and truly fulfill. We must not forget what Jesus and Paul both taught about our needs being met and our life being full. 38 “If you don’t go all the way with Me, through thick and thin, you don’t deserve Me. 39 If your first concern is to look after yourself, you’ll never find yourself. 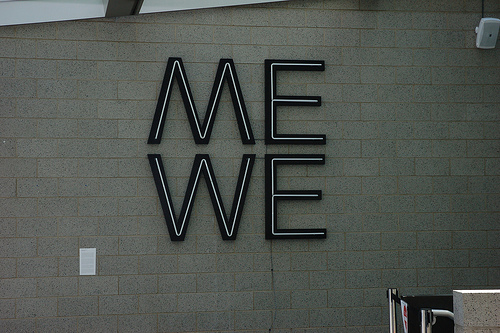 But if you forget about yourself and look to Me, you’ll find both yourself and Me. 11 “I’ve told you these things for a purpose: that My joy might be your joy, and your joy wholly mature. 12 This is My command: Love one another the way I loved you. 13 This is the very best way to love. Put your life on the line for your friends. 12 So, chosen by God for this new life of love, dress in the wardrobe God picked out for you: compassion, kindness, humility, quiet strength, discipline. 13 Be even-tempered, content with second place, quick to forgive an offense. Forgive as quickly and completely as the Master forgave you. 14 And regardless of what else you put on, wear love. It’s your basic, all-purpose garment. Never be without it. 15 Let the peace of Christ keep you in tune with each other, in step with each other. None of this going off and doing your own thing. And cultivate thankfulness. 16 Let the Word of Christ-the Message-have the run of the house. Give it plenty of room in your lives. Instruct and direct one another using good common sense. And sing, sing your hearts out to God! 17 Let every detail in your lives-words, actions, whatever-be done in the name of the Master, Jesus, thanking God the Father every step of the way. It sounds counter-intuitive, but our personal needs are only truly met when we live loved and give love. Our needs are only fulfilled when we trust that we have been loved first by a God who was willing to demonstrate that love through sacrifice, and we then live daily to give His love away into the lives of others. And not just through a service project. But through deep relationships in which “on earth as it is in heaven” is beginning to blossom, among both the “lost” and the “found,” via shared life together in the daily rhythms of our lives. Relationships that do not just provide refuge and a false sense of security, though. Relationships that purposefully and intentionally push us toward disciple-making and mission engagement and selfless living because that is the mission around which those relationships have united and for which they ultimately exist. We must move from “feed me” to “feed others.” And probably more appropriately, from “feed me” to “share what has been given to me with others” so that we can experience the love and life as Jesus intended. He loved us first and asks us to love as He has loved us. This week on the blog, I will be re-posting five posts from LiveSent.com from summer 2011. These are five suggested shifts (one per day) that the American church must make in order for us to actually be making disciples as Jesus intended. These are merely suggestions. They are not dogmatic assertions that if read and not believed will result in eternal damnation. They are not end-times prophetic announcements that will usher us into the ultimate day of “Good News” on December 20-something-or-other. They are simply this simple guy’s perspective as I am begging God for wisdom on what we must do to actually equip people to be making disciples in the daily. AND, I really would value your feedback, since the ways of the Kingdom are learned and lived as we follow Jesus together. Do you think of this “good news,” this most-important message, as a presentation that Christians should make so that other people can choose to be a Christian? While it certainly is a “good news” message that we now as “letters from Christ” (2nd Corinthians 3:3) present to a world full of “bad news,” I would suggest that it is more than just something we present. And I would suggest that in order for us to actually be making disciples, we must make a shift in how we think of “the Gospel” if we think of it only as a presentation we make or a tract that we hand out. First, the Gospel is not a presentation we make as much as it is a presentation that has been made to us. 4 All they have eyes for is the fashionable god of darkness. They think he can give them what they want, and that they won’t have to bother believing a Truth they can’t see. They’re stone-blind to the dayspring brightness of the Message that shines with Christ, who gives us the best picture of God we’ll ever get. Second, this Gospel was made known to us not just through a presentation but rather through an actual presence. 14 The Word became flesh and blood, and moved into the neighborhood. We saw the glory with our own eyes, the one-of-a-kind glory, like Father, like Son, Generous inside and out, true from start to finish. 15 John pointed him out and called, “This is the One! The One I told you was coming after me but in fact was ahead of me. He has always been ahead of me, has always had the first word.” 16 We all live off his generous bounty, gift after gift after gift. 17 We got the basics from Moses, and then this exuberant giving and receiving, This endless knowing and understanding-all this came through Jesus, the Messiah. 18 No one has ever seen God, not so much as a glimpse. This one-of-a-kind God-Expression, who exists at the very heart of the Father, has made him plain as day. Next, this Gospel, this “presence” of God coming near with His love to a people who had not acted very lovable, both wrecks us and restores us day after day after day as we move from death to life and are compelled to show a love that has been shown to us. 14 For Christ’s love compels us, since we have reached this conclusion: If One died for all, then all died. 15 And He died for all so that those who live should no longer live for themselves, but for the One who died for them and was raised. 16 From now on, then, we do not know anyone in a purely human way. Even if we have known Christ in a purely human way, yet now we no longer know [Him in this way]. 17 Therefore, if anyone is in Christ, [he is] a new creation; old things have passed away, and look, new things have come. 18 Everything is from God, who reconciled us to Himself through Christ and gave us the ministry of reconciliation: 19 That is, in Christ, God was reconciling the world to Himself, not counting their trespasses against them, and He has committed the message of reconciliation to us. 20 Therefore, we are ambassadors for Christ, certain that God is appealing through us. We plead on Christ’s behalf, “Be reconciled to God.” 21 He made the One who did not know sin to be sin for us, so that we might become the righteousness of God in Him. And finally, we never quit needing this Gospel and we never quit needing to tell the story of how this Gospel is wrecking and restoring us. However, we don’t just need to present it. We need to share this story while living this story with presence. 9 Say the welcoming word to God-“Jesus is my Master”-embracing, body and soul, God’s work of doing in us what he did in raising Jesus from the dead. That’s it. You’re not “doing” anything; you’re simply calling out to God, trusting him to do it for you. That’s salvation. 10 With your whole being you embrace God setting things right, and then you say it, right out loud: “God has set everything right between him and me!” 11 Scripture reassures us, “No one who trusts God like this-heart and soul-will ever regret it.” 12 It’s exactly the same no matter what a person’s religious background may be: the same God for all of us, acting the same incredibly generous way to everyone who calls out for help. 13 “Everyone who calls, ‘Help, God!’ gets help.” 14 But how can people call for help if they don’t know who to trust? And how can they know who to trust if they haven’t heard of the One who can be trusted? And how can they hear if nobody tells them? 15 And how is anyone going to tell them, unless someone is sent to do it? That’s why Scripture exclaims, A sight to take your breath away! Grand processions of people telling all the good things of God! Just like the God who came near to us right into the middle of our darkness, may we go near daily into the darkness and shine His ever-present light. May we make more than a presentation. May we show the same love that has been shown to us with actual presence.